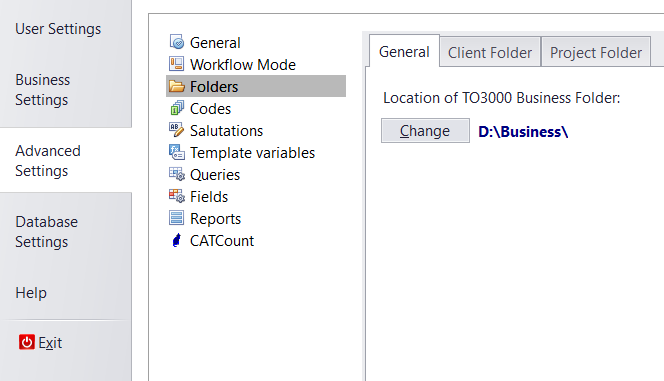 How can I move the Business folder in Translation Office 3000 3D? Please go to "Advenced Settings >> Folders >> General" and select the new location for the Business folder. Please keep in mind that this only cretes the folder. You will need to move all the contents of the previous Business folder to the new location manually.